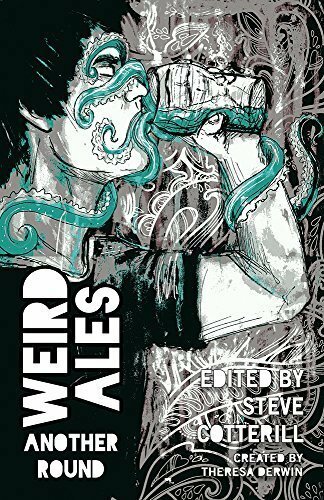 I am proud to be included in the second Weird Ales Anthology published by Quantum Corsets. Thirteen horror tales set in or around inns, pubs and bars of various times and settings. Bite-sized horror shorts for quick, unsettling, reads, including my short story Press Ganger. As always, reviews would be most welcome! Thank you. To buy the books and read the reviews please just click the link that suits you best. Thirteen authors. Thirteen stories. And countless drinks. If you read a story for each pub you go in then you’ve had a good day. But if you've drunk each of what the protagonists (or authors) have had to drink then you’ll need to go to bed with a few pints of water, some paracetamol, a bucket - and a great deal of luck. Clearly you wont want spoilers, but suffice to say I wouldn't get too attached to the main protagonists; it’s the nature of horror/weird that it wont end well. But you never know (okay, usually you do!). I did find some stories more satisfying than others (some more ‘Thornbridge Jaipur’ than ‘Greene King IPA’) but that’s the nature of a short story compilation. And some (weird) people will prefer the Green King than the Thornbridge. For the price a percentage of a pint or a round then you can’t go wrong. Buy. Read. Slurp. Enjoy. And good luck. A variety of different stories written by very different authors! Bite-sized reads if you will, all based in some way in or around pubs of differing styles and ages. Entertaining short reads of a night time perhaps, or perhaps better consumed by day... Pour yourself a stiffener and get stuck in!